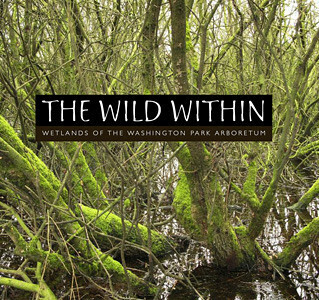 “The Wild Within” is a stunning book of photographs documenting the rich diversity of wildlife and flora in the wetlands of Seattle's Washington Park Arboretum. Created to raise awareness about the unique beauty of this urban wilderness, “The Wild Within” features more than 120 full-color images of wetland birds, animals, and scenery by local photographers, including principle photographer Michele Burton. The photos are accompanied by essays from friends of the wetlands, including former Governor Dan Evans and Dale Chihuly.